Serving customers delightfully, ChocolateMelangeur, has a large variety of products ensuring all needs and requirements of consumers are met satisfactorily. The various products they deal in include Kitchen Appliances, Chocolate Melangeurs and a large number of products are available at this store making it a one stop shop. We are glad to say that we are the authorised seller. 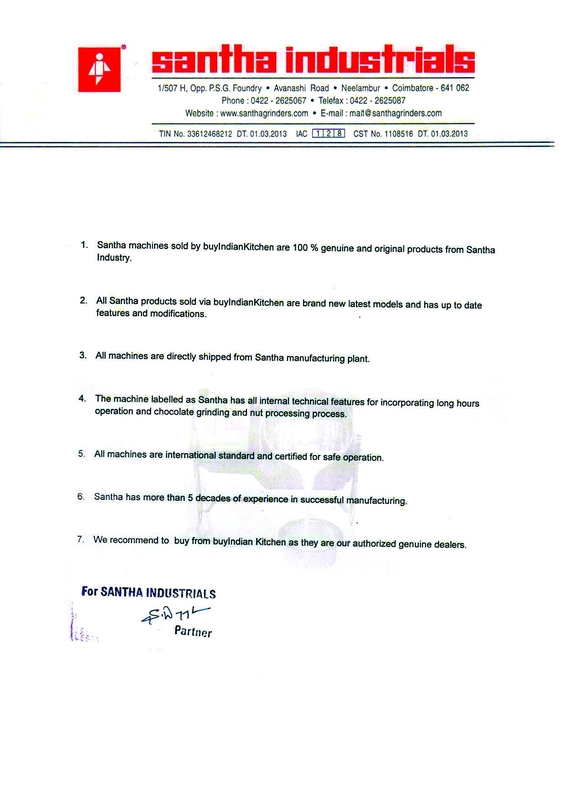 All Santha products are purchased directly from Manufacture "Santha Industrials”.